Mix all ingredients together and pour into ice cube trays. Freeze for 4 hours. 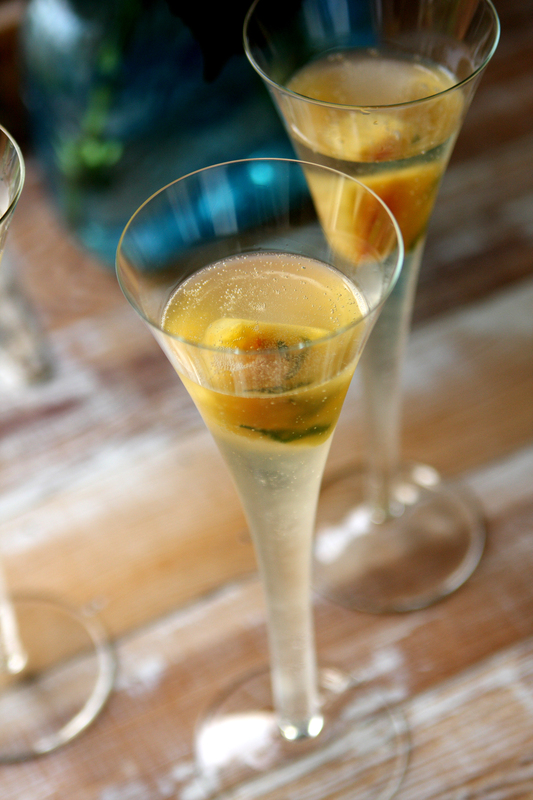 Serve 2 ice cubes in a glass of Champagne.